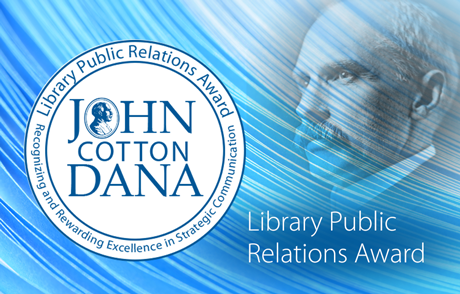 The John Cotton Dana Award, provided in conjunction with the H.W. Wilson Foundation, the American Library Association and EBSCO, honors outstanding library public relations, whether a summer reading program, a year-long centennial celebration, fundraising for a new college library, an awareness campaign or an innovative partnership in the community. In recognition of their achievement, John Cotton Dana award winners receive a cash award from the H.W. Wilson Foundation. 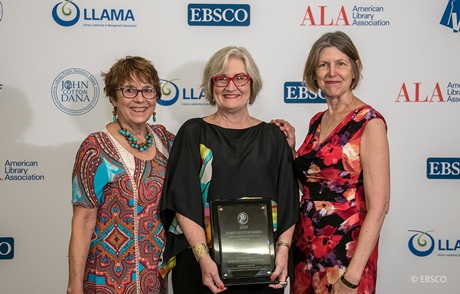 The John Cotton Dana Awards are presented at an elegant reception hosted by EBSCO held during the American Library Association annual conference. We are currently open to submissions. Apply by March 29, 2019. Whose Library Public Relations Award is It Anyway?